I am currently reading the above book. It was lent to me by a friend who’s a teacher of Dances of Universal Peace. I mentioned in another post of my love of the Dances of Universal Peace. The originator of the dances, Murshid Samuel L. Lewis (1896 – 1971) was a disciple of Hazrat Inayat Khan (1882 – 1927) and I must say that I am greatly inspired by the messages and lives of both of these great men. The complete poem can be found here. 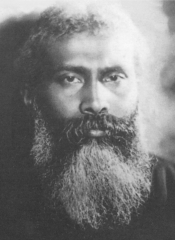 The following words are extracted from http://www.om-guru.com/html/saints/khan.html I urge you to read further if you would like to know more on the life of Hazrat Inayat Khan, founder of what is today called Sufi Order International. I spent two glorious years in my 20s on the edge of Medina, the holy city in Saudi Arabia where Mohammed lived for a time and was buried. I find it fascinating that Inayat Khan’s teacher’s family came from Medina. [Hazrat Inayat Khan] developed considerable skill at the Vina (an Indian instrument). At eighteen, he went on a concert tour throughout India intent on reviving some of the older folk songs which were being replaced by more popular melodies. He felt these songs carried a special spiritual quality which was being lost. This brought him some critical acclaim, and he was invited to perform in the courts of Rajas (the rulers of India’s princely states who cooperated with the British). Inayat began to seek spiritual guidance at this point. He had seen the face of a very spiritual bearded man off and on in his dreams for some time. One day in Hyderabad, he had a premonition that something important was about to occur. A short time later, the man he had seen in his dreams entered the room. Both teacher and disciple were immediately drawn to each other. The teacher was Mohammed Abu Hasana (or Said Abu Hashim Mudan depending on one’s source) whose family originally came from Medina, the sacred city of Islam in Saudi Arabia. 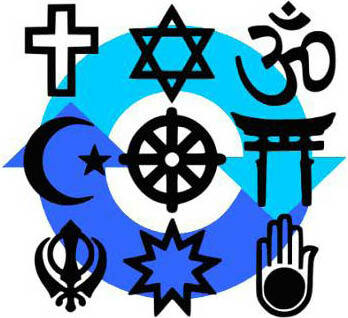 Mohammed was a member of the Chishti Sufi Order that was introduced into India at the close of the 12th century A.D. The next thing in the attainment of the inner life is to seek a spiritual guide – someone whom a man can absolutely trust and have every confidence in, someone to whom one can look up to, and one with whom one is in sympathy – a relationship which would culminate in what is called devotion. And if once he has found someone in life that he considers his Guru, his Murshad, his guide, then he should give him all confidence, so that not a thing is kept back. If there is something kept back, then what is given might just as well be taken away, because everything must be done fully, either have confidence or not have confidence, either have trust or not have trust. On the path of perfection, all things must be done fully. Inayat maintained close contact with his teacher for four years. During this time, he experienced a level of realization that made God a reality in his life. As his master lay dying, the teacher told him: “Go to the Western world my son and unite East and West through the magic of your music”. Two years later, in September of 1910, Inayat sailed for America.